The 40 S&W 180gr factory reloaded ammunition is loaded to the highest quality and hand inspected. Ammo is packed in convenient 250 Round packs or 1000 round bulk. The 40 S&W 180 gr factory reloaded ammunition is loaded to the highest quality and hand inspected. Ammo is packed in convenient 250 Round packs or 1000 round bulk. A classic, tried and true, deadly accurate projectile. 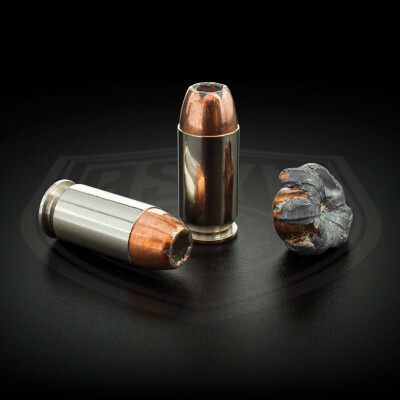 This bullet boast phenomenal performance to optimize the most out of your training and range time. The 180 gr CMJ projectile has no lead exposed . These bullets are primarily used for target shooting and plinking. These once fired 40 s&w brass cases have under gone the firearms industries version of recycling. These cases have been reprocessed back to SAAMI spec and then highly polished to perfection. These rounds are loaded on the same machines as our match grade product to deliver the highest quality. This is the magic inside the case. We use a slow burning smokeless powder to reduce recoil and ensure repetitive accuracy each time you pull the trigger. This powder will reduce the carbon build up in your firearm and the wear and tear after a long days use at the range. We use the CCI small pistol primers, MADE in the USA. These primers have been a great staple of delivering consistent ignition on all our 40 S&W ammo. We create what we want to shoot. We go though ammunition as a team pretty fast and the 40 S&W bulk allows us to keep training. This load has been hand inspected and cases gauge to ensure you have maximum range training time and not worried about jamming issues or feeding problems. Boxed in convenient 250 round packs and 1000 round bulk 40 S&W ammo.